Datafied has a customized service to help any life insurance provider quickly and efficiently obtain Attending Physician Statements (APS).  Our HIPAA certified technology allows us to automate much of the retrieval process and reduce both the cost and time associated with document retrieval. APS retrieval has been Datafied’s core competency since our inception and today, we continue to provide the best quality APS services possible. The number of Claims cases that insurance companies have to deal with has risen significantly in recent years and medical records are an essential part of many investigations. Datafied has specialized in medical record retrieval for over 20 years and because of this, our processes are the best in the business. We can obtain medical records for any type of claim ensuring that you will get the records you need in order to investigate the claim. One of our core competencies is and always has been APS retrieval. APS retrieval can be a difficult process as oftentimes, it is not easy to work with healthcare providers in order to obtain copies of records. Every healthcare provider typically has their own procedures and regulations for storing and releasing medical records making it difficult to understand how to obtain records. Datafied has been working with healthcare providers for over 20 years and in this time period, we have learned many tricks and strategies by documenting the policies and procedures of each facility, that enable us to obtain medical records as quickly as possible. When you allow Datafied to handle your APS retrieval, you will receive all of the records you requested in any format you desire. We can deliver the records directly to you or to any person you authorize us to release them to.  Datafied guarantees to deliver you exactly what you are looking for as fast as possible, making the usually complicated process of APS retrieval a breeze. Oftentimes, when APS charts are received they are a lengthy mess filled with obsolete information. When these charts are passed onto underwriters much of their time is wasted searching through the records to find the information that is pertinent to their decisions. In addition to this, underwriting staffs are already overwhelmed by more trial applications and APS orders than ever. Underwriting is a critically important task for insurers so wouldn't it make sense to maximize the efficiency of the process? Chart sorting is another way that Datafied can help make your data more useful and easier to understand. Once we have spoken with the customer and determined what is important to them, we then sort through every page of the records and group similar items to make them easier to locate. We also group all documents in the chart that are considered "junk" in order to make the charts easier to navigate. 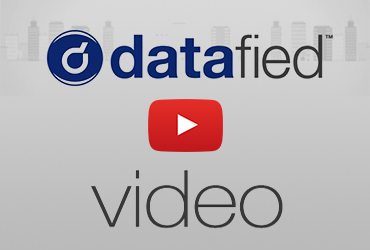 Datafied has the ability to sort records chronologically and/or by defined categories that you the customer have requested. A sorted chart is another great way to help increase the efficiency of the underwriting process. Chart Indexing and Linking is another helpful tool that can add value to the medical data that you receive. Before being indexed, all pages in the chart are numbered. Once numbered, a keyword index is produced that allows the chart reviewer to easily determine where different items are located within the chart. We create the index from the sorted material and ensure that it aligns with your preferences. The index will always be easy to read and will detail all relevant keywords. In addition, hyperlinks will be added to each page so that you can simply click on a keyword and be taken to the pages it relates to, providing you with quicker and easier accessibility to the information you want. Insurance fraud is an ongoing and costly issue for insurance providers with nearly $80 billion worth of fraud committed every year. In order to protect your company from these massive losses, it is imperative that you have the ability to thoroughly review and investigate suspicious medical histories.